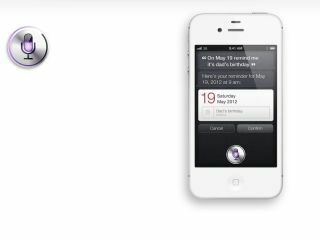 The man behind Siri – the voice control personal assistant that headlined the iPhone 4S launch – has left Apple. Siri was bought by Apple in April 2010 and the voice recognition technology has become a high profile feature in the company's latest handset. Co-founder and CEO of Siri Dag Kittlaus arrived as part of the acquisition and had been continuing his voice control project at Apple, but has now reportedly left the company. The reasons given by All Things Digital, which broke the story, are a desire to be closer to his family, the need for a rest and, inevitably, to pursue other projects. Kittlaus founded Siri along with Adam Cheyer and Tom Gruber, backed by Norman Winarsky – and the project had attracted major investment before Apple stumped up for the company. The sheer profile given to voice control in the latest launch suggests that Apple sees the technology as a major factor moving forward, with Google working hard on its own well-established voice-control service and highly likely to launch similar functionality in its Android platform sooner rather than later. Of course, with the major players now spending as much time fighting each other in patent courts as in the marketplaces, the chances are that this will be end in acrimony.